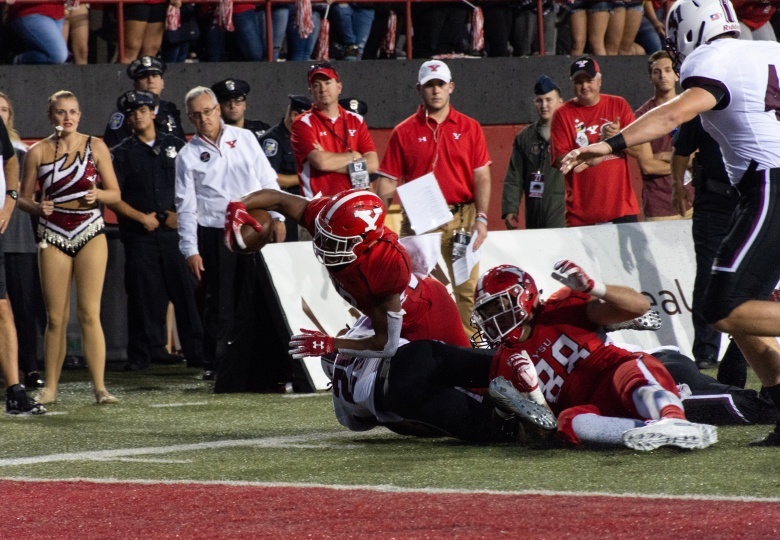 The Youngstown State University football team earned its second win of the season on Saturday. 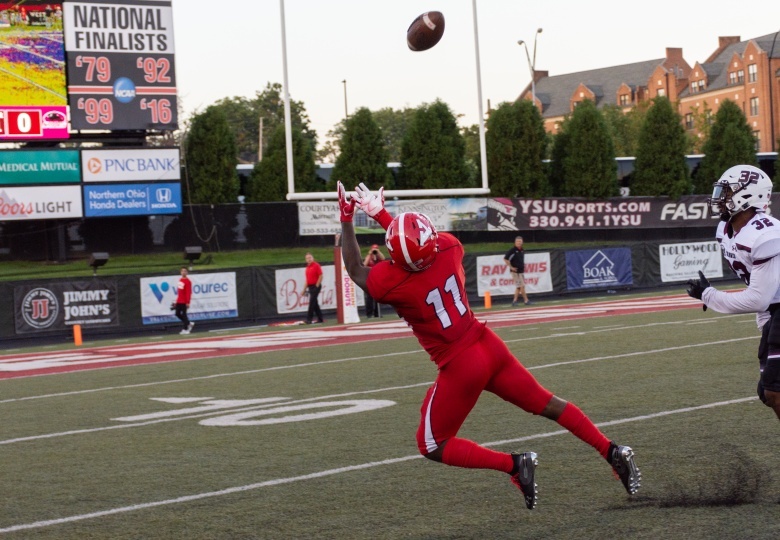 They avoided starting 1-4 with a 17-14 comeback win over Southern Illinois University. 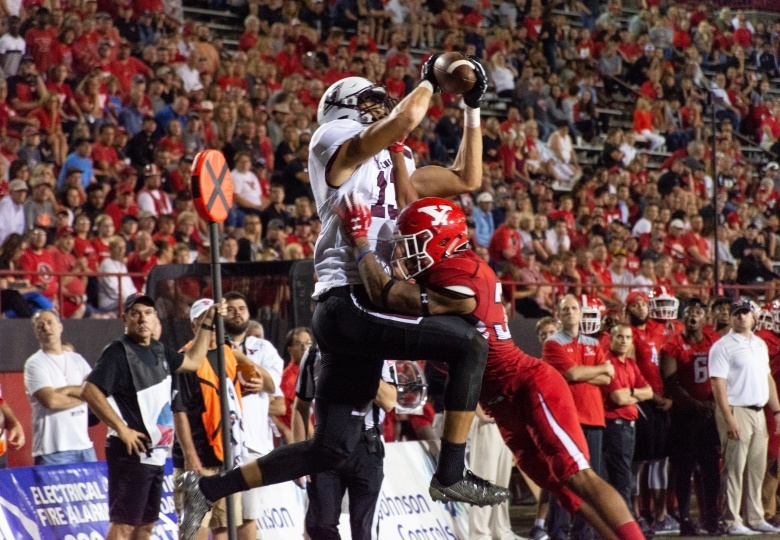 As always, each week in Missouri Valley Football Conference is a huge test. 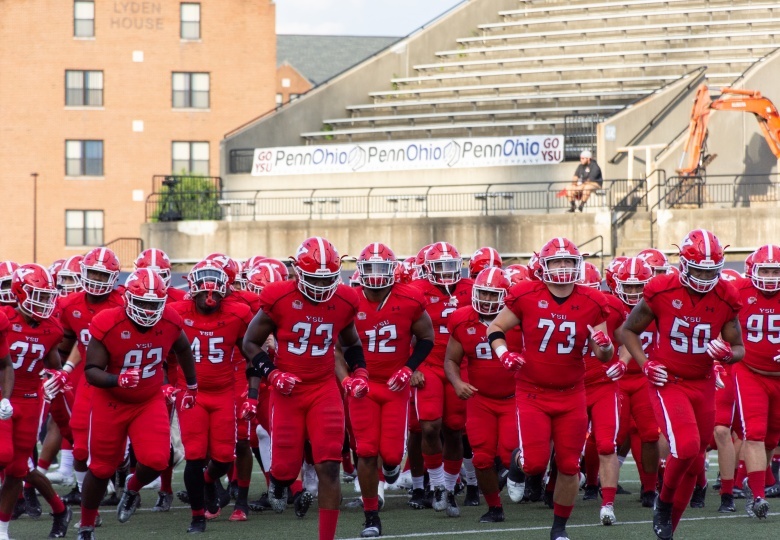 This week is no different as the Penguins go on the road to face number two South Dakota State University. 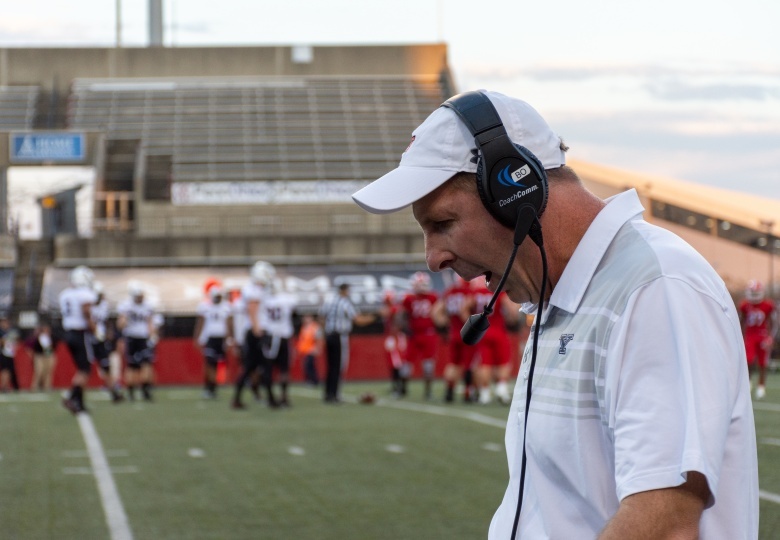 Pelini said that the defense has taken a positive step but hasn’t gotten to the level that he would like. 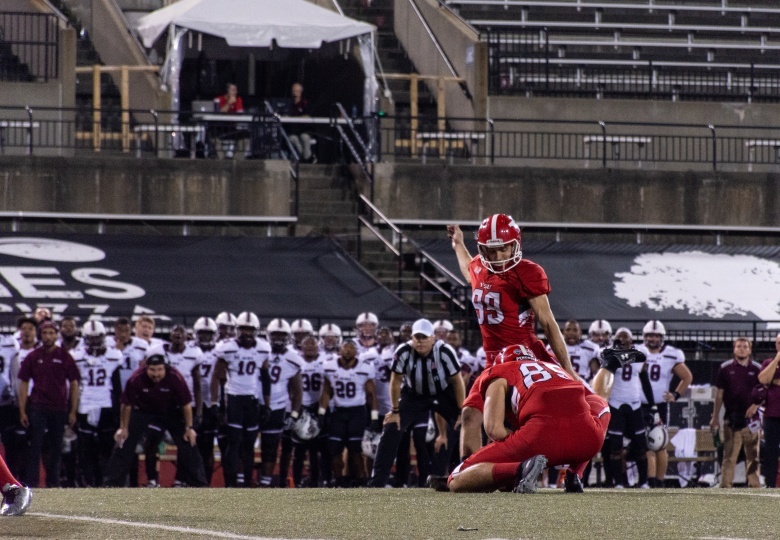 VanGorder has played well as YSU’s starting quarterback. 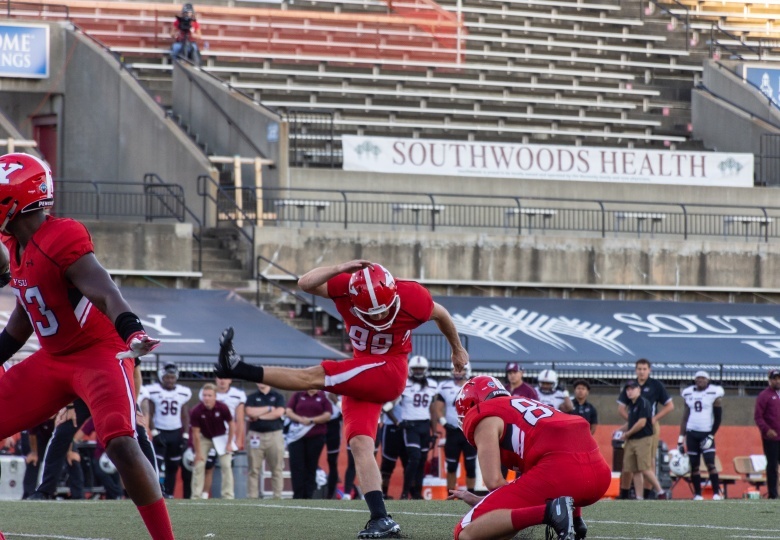 He has 10 touchdowns to five interceptions, while throwing for 1,148 yards. 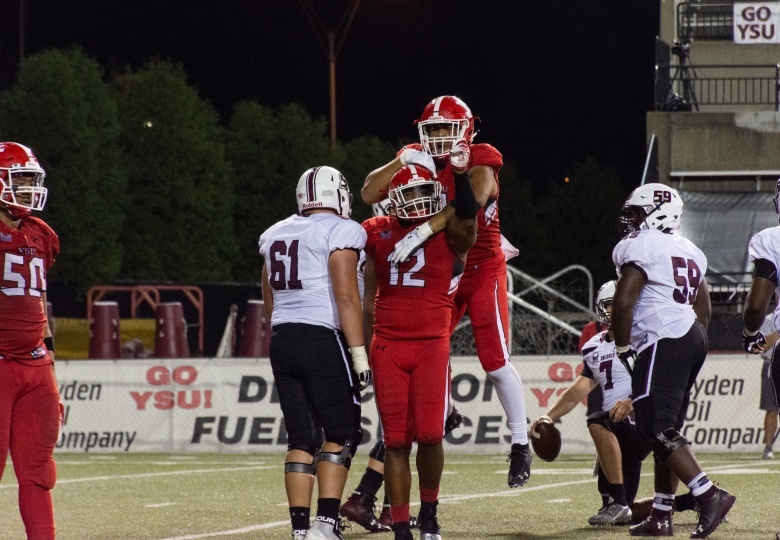 He has completed 54.5 percent of his passes after going 15-for-36 against SIU. Baldwin started at right tackle for the Penguins in the win. 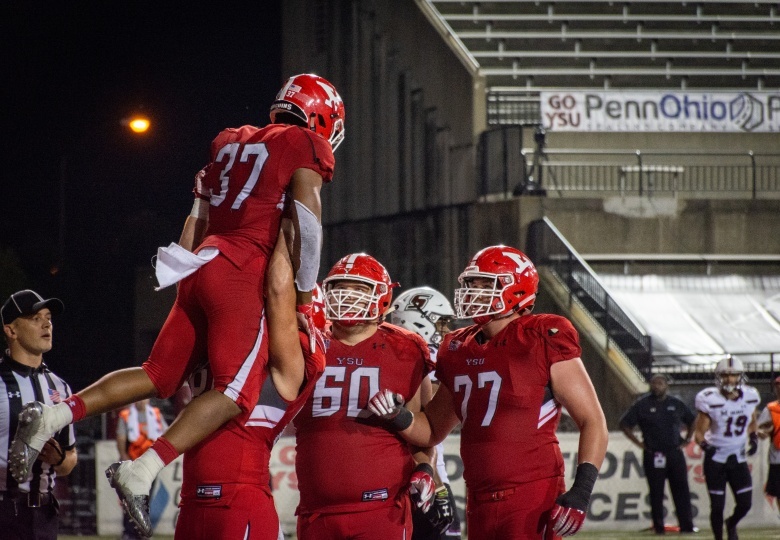 He helped lead an offense that ran for 156 yards with Tevin McCaster rushing for 116 and a touchdown. The Jackrabbits will be a tough mountain to climb. 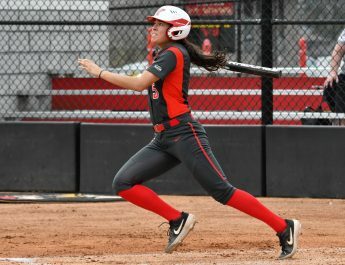 SDSU is averaging 51.5 points per game, while giving up 23 points. The Jackrabbits are averaging 579.2 yards of total offense per game while giving up 365.2 yards per game. 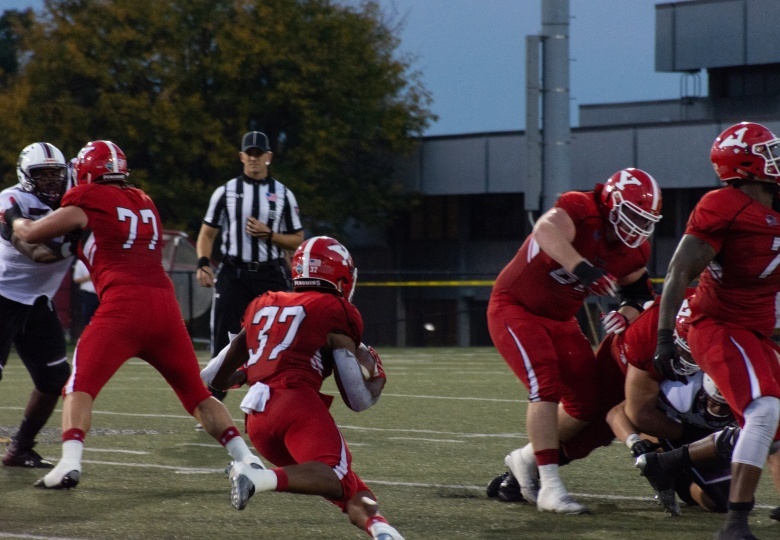 Quarterback Taryn Christion is having a quality year so far. 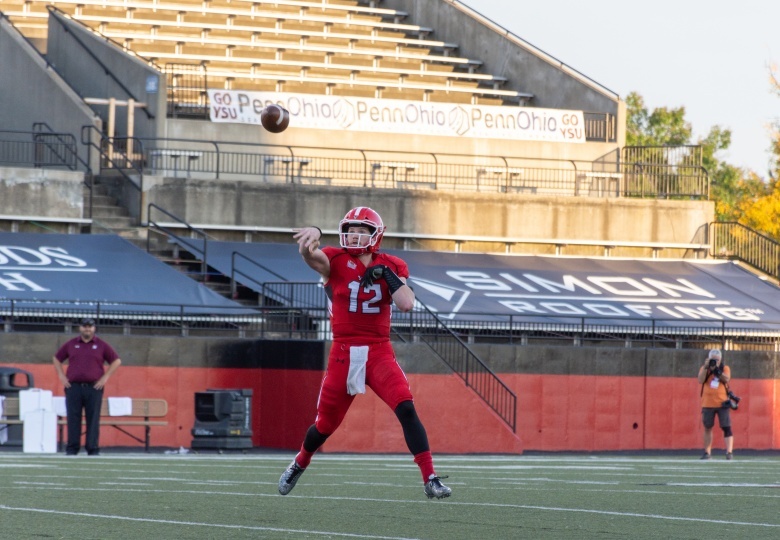 He has thrown for 1,082 yards with 15 touchdowns to just one interception. 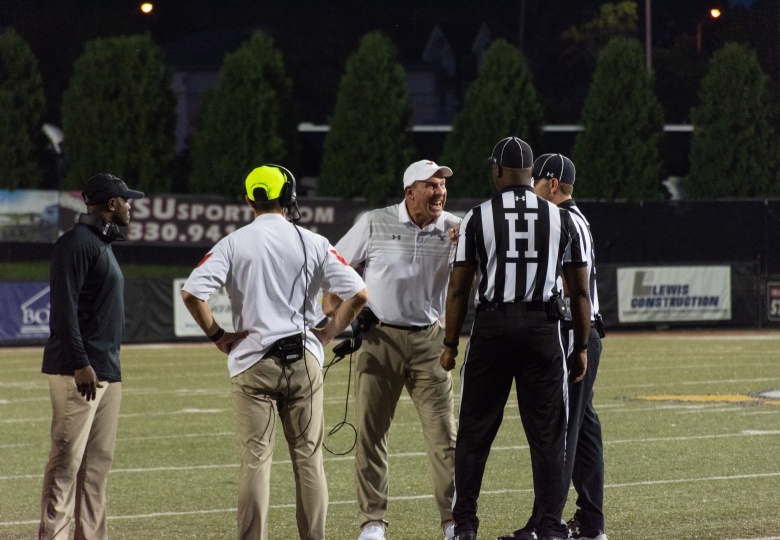 The high-powered offense will be a tough task for the YSU defense that is giving up 389.4 offensive yards per game. Lee is second on the team behind Armand Dellovade with 36 tackles. Dellovade has 43. 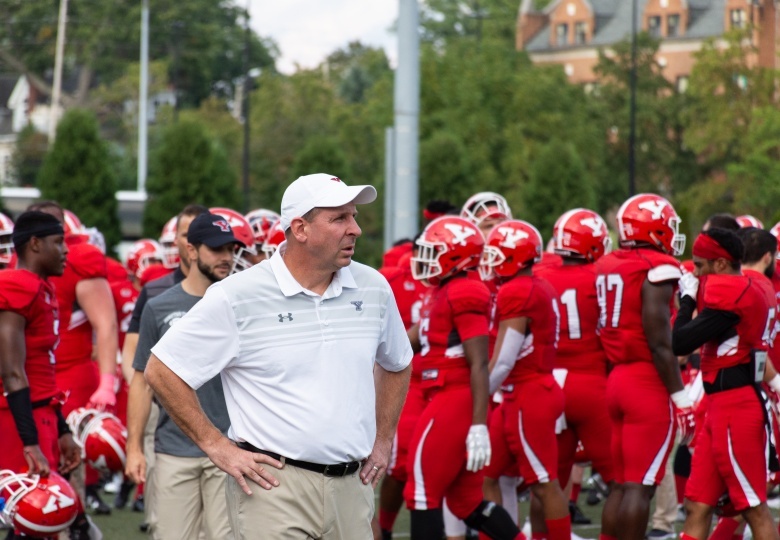 Defensively, the Penguins have been improving as Pelini said. 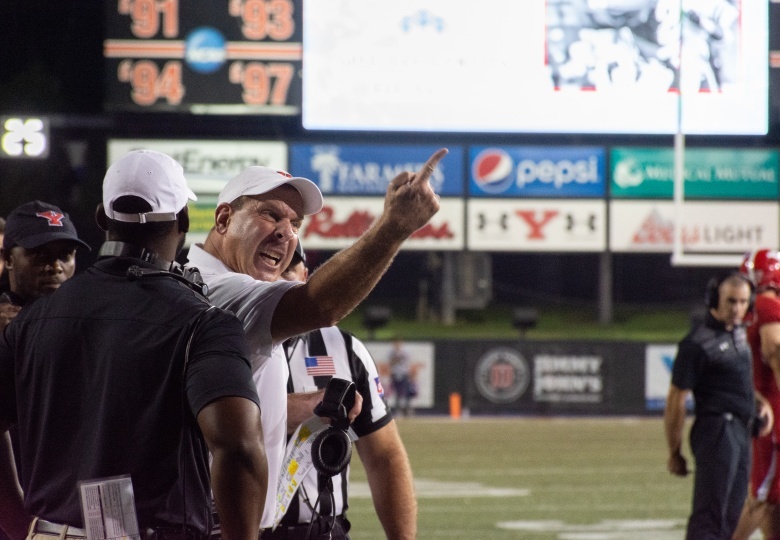 If the West Virginia University game is taken away, the Penguins defense would rank 24th in the country in total defense. They currently rank 54th with 389.4 yards. 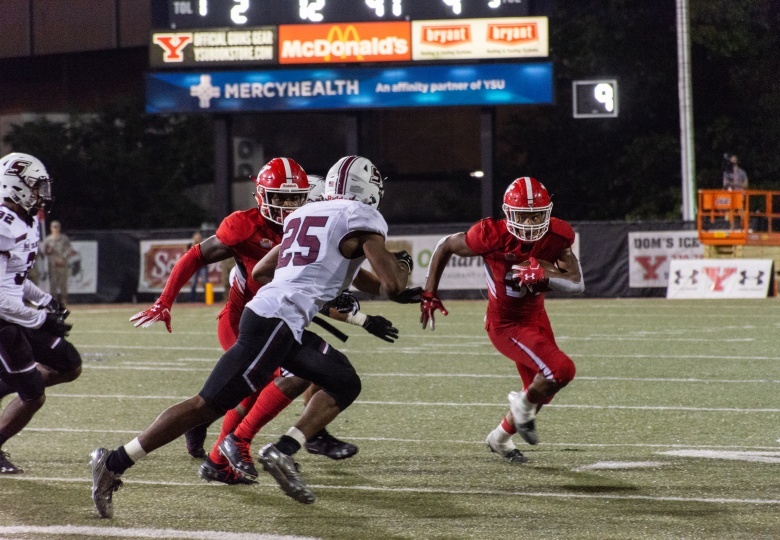 Against FCS opponents, YSU gives up 330.5 yards. Pelini said that a lot of the guys are getting comfortable where they are in the defensive scheme. 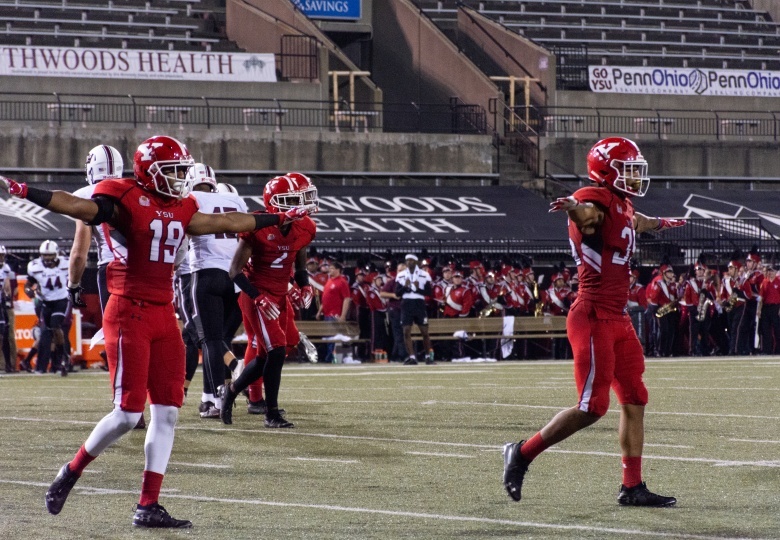 The defense will be the biggest key to YSU’s success against SDSU. 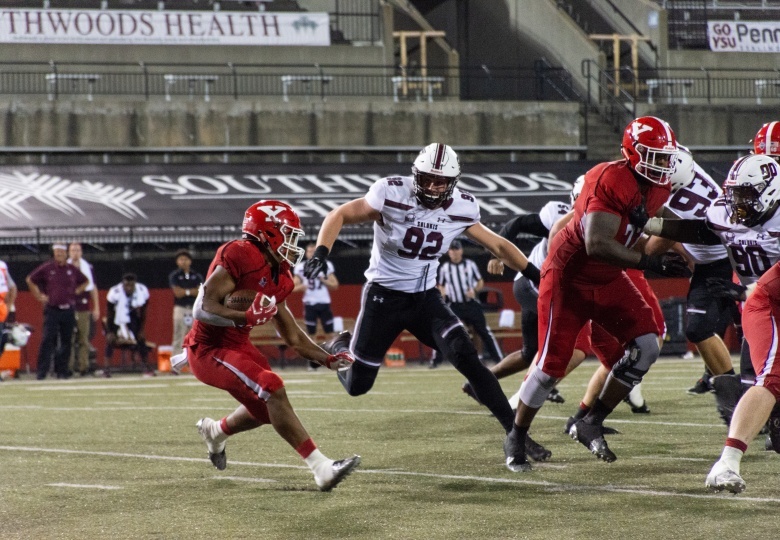 Beside slowing down Christion at quarterback, YSU must slow down the 13th-best rushing attack in the FCS at 252.5 yards per game. 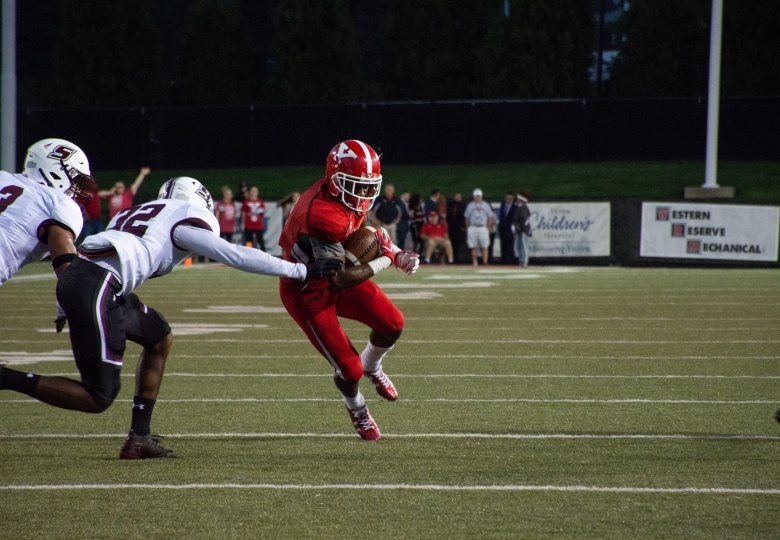 Isaac Wallace is the team leader in rushing with 417 yards and four touchdowns. 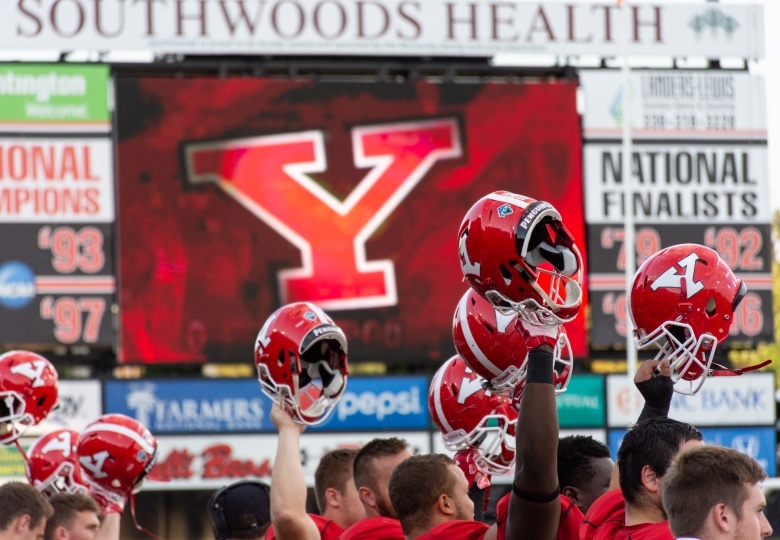 YSU will look to upset the second-ranked Jackrabbits at Dana J. Dykhouse Stadium in Brookings, S.D. on Oct. 13 at 3 p.m.